The thought of updating or replacing your fireplace can be a daunting decision as with so many colours, styles and sizes to choose from, where do you start? 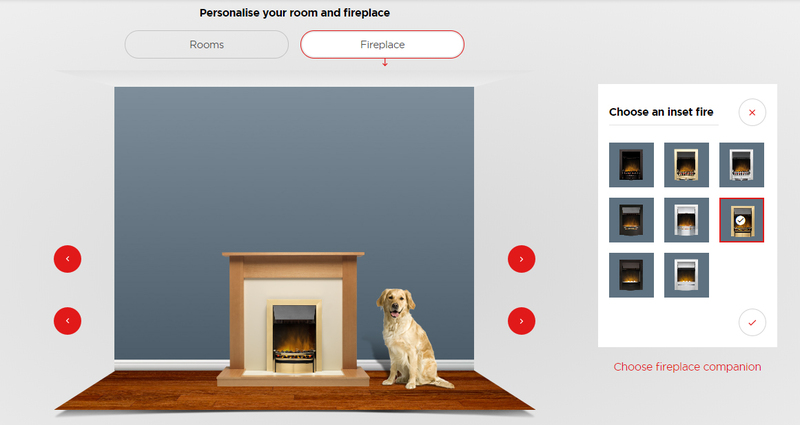 To help you make those all-important decisions, heating experts Dimplex has launched its unique ‘Build your own fireplace’ web app to help you pick the right fire and surround to match your décor. The easy-to-use webpage allows you to have a little fun by choosing the colours of your walls, floors and ceiling height to create a like-for-like comparison to your own living room. Once you’re happy with your room design, you can then choose from 15 different fire surround styles and eight different Optiflame® fires to create a truly bespoke, built to order fireplace. The ‘mix and match’ scheme allows you to explore different finishes such as chrome or brass trims alongside contemporary or traditional surrounds, giving you more than 120 different styles to choose from. What’s more, once you are happy with your finished fireplace, you can simply add your design to your basket and purchase online in one simple process. Dimplex Optiflame® has become the world’s most popular flame effect, creating the illusion of realistic flames from an electric source. Easy to install, the fire units simply plug into an electric socket, which means they can be installed in a matter of minutes, enabling you to give your room an instant refresh with minimal effort. The entire range is also extremely efficient, ensuring that no heat is wasted. To create your own bespoke fireplace, simply visit www.dimplex.co.uk/content/build-your-own-fireplace and enjoy designing your dream fireplace.